If you’re new to Twitter or even if you have been tweeting for some time, I am sure you are eager to login and see if you have been retweeted or if someone has sent you an @reply or maybe you’re just looking to increase your Twitter following. You might be coming up empty-handed time and time again, if that’s the case, don’t worry! There are tools to help you be an effective Twitter user. For the longest time I was wondering, How do I get retweeted? There is an art to it, but in reality, there are really only two main components: 1) content; 2) timing. In this post I am going to share two awesome tools that can help you nail down the best time of day to tweet and one must-have tool for all social media users that will help you with creating effective tweets. Timely is an incredible application that estimates the time of day when you get most retweeted, the most replies and the most click throughs. You simply enter in what you want to say, how many times a day you want to tweet and if you want to tweet on weekends. From there, Timely will automatically space out your tweets and time them according to when they will have the most impact. If you have your tweets planned out a week in advance, enter them all in Timely on Monday and come Friday, each of your tweets will have been strategically posted to maximize your reach. If you are a visual or analytical person, Tweriod is for you. Though Tweriod will not tweet for you, it will create custom graphs that show you when the best time to tweet is based on your followers’ tweeting habits. Tweriod graphs give you a break down of days of the week and weekends as well as the time you’re most likely to receive @replies. The graphs are designed to simply tell you when you will get the most exposure from your tweet. If you’re not on Klout, stop reading this post and go get yourself an account. This could be the single most important tool that anyone who cares about his or her impact on the web can utilize. Klout has an intricate rating system that accurately gauges how effective you are in the online world. They use Facebook, Twitter and LinkedIn to estimate a score on a scale of 0-100. The key factors analyzed are your Network Influence, Amplification Probability and True Reach. Though Klout won’t show you what time is the best time to tweet, they will certainly show you if your timing is making a difference. Klout also shows you who you influence, who influences you and what topics you are most influential about. When creating tweets, Klout is a great place to go to see what topics your audience expects to hear from you. If you cater your tweets to those topics and use the two tools above to schedule them appropriately, you better believe you’ll start seeing your Klout score go up ultimately increase you’re effectiveness on the web. What if Neil Armstrong Landed on the Moon in 2011? With the space shuttle Atlantis landing today and yesterday being the 42nd anniversary of the first moon walk, the team over at Ignite Social Media decided to put together a blog post filled with hilarious screen shots simulating what the moon landing would look like in the age of social media. The screenshot on the left is one I helped with, but for more laughs, visit the original post. There is nothing coveted more by tweeps than retweets, mentions and replies. Nearly every twitter user wants to know the secret of how to get retweeted. There is definitely an art but there are also studies that provide hard data behind the science of retweets. Everyone on Twitter is passionate about something. That’s the reason people follow you! The single most important part of the artof being reshared is simple: post content your listeners care about. For example, if people follow you because you are the guru in the homebuilding industry, post about homebuilding. Your followers won’t care about the newest song released by your favorite band. The best way to ensure that you will get more retweets is to create a social media budget. This budget is a simple concept that can help you figure out what topics you’re interested in and determine how much time you will spend talking about each subject. 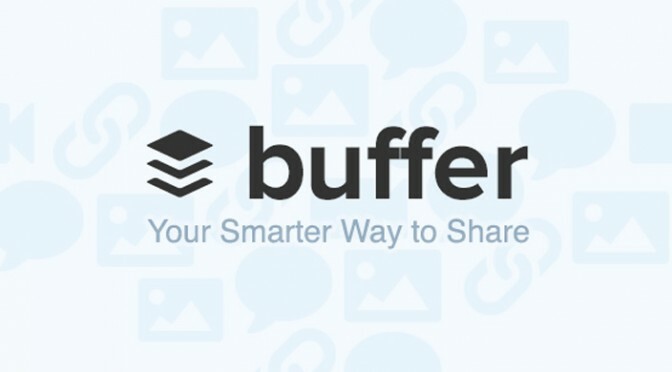 Next you figure out what type of content you should share: links, quotes, videos, etc. For some people, quotes get retweeted more. For others, only original content or news stories will get retweeted. Figuring out what your users want to hear is extremely important. It may take a little while to determine what works and what doesn’t for your audience. That’s just part of mastering the art form. Retweet Scientist, Dan Zarrella, has written an excellent (free) eBook that is totally worth getting entitled The Science of Retweets. In this helpful guide, he gives you all the technical knowledge gathered from a survey of hundreds of thousands of tweets. This data shows what tweets worked and what didn’t. Dan dissects retweetable tweets from analyzing the psychology behind how word choice to pointing out what words will most likely get you retweeted. I would try to get into all of the science, but nothing can sum it up better than Dan’s book, so check that out. If you are trying to get more retweets it is time for you to start learning the art of retweets and studying the science behind what people like to reshare. There is definitely a learning curve and a lot of trial and error, but if you create content your users want to hear and figure out which words will spark a desire for retweets, you’ll be getting your tweets reposted in no time. On social media platforms likes Facebook, people have no problem liking photos or commenting on status updates. However, it seems to me that lots of people are afraid to have this same interaction on Twitter. Below are 4 ways to start interacting on Twitter! @replies: When you @reply someone on Twitter (starting a tweet with @ and the person’s username), it does not go out to all your followers. It only shows up on your feed, the person you @replied and anyone that follows both you and the person you @replied to. People are often afraid to @reply because they don’t realize this quick fact. Now, if someone views your profile or your tweets, they will be able to see your @replies, however they do not clutter up your follower’s feeds. There is a little “reply” button at the bottom of every tweet. Mentions: Similar to the @reply, a mention is when you write a message and then “tag” a Twitter user somewhere in your tweet. You include the @ + username somewhere in your tweet instead of at the beginning. Generally speaking a “mention” is not in reply to what someone has said. Your followers are able to see your mentions. Favorite: Like Facebook you can favorite (or like) someone’s tweet. This does not repost it to your followers. If someone visits your profile, they will be able to see all of your favorited tweets. This is an easy way to say you like what someone is saying without reposting it to your followers! Those are some quick and easy ways to start interacting on Twitter!